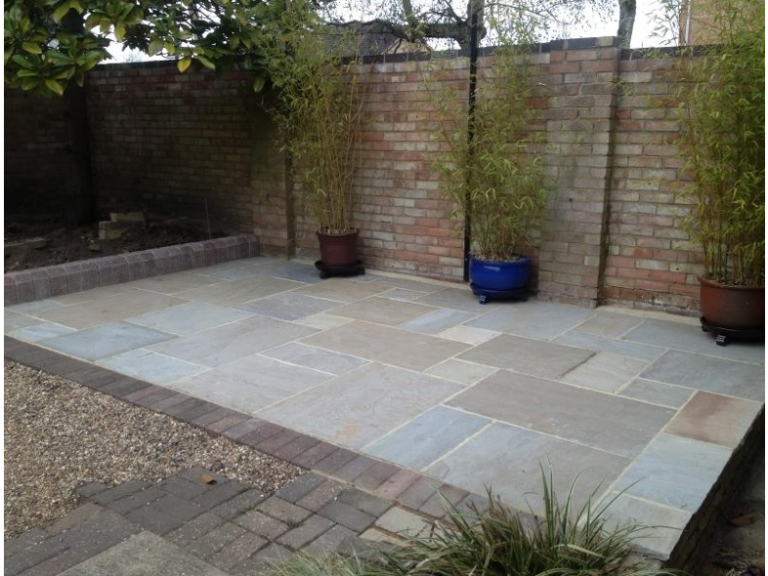 Make the most of your outside space with a patio from Bidder Landscaping Woking.. It may be September already but there's still time to doors are thrown open (if the weather forecasts of an Indian summer are to be believed!) and spend the last few weeks enjoying time outside. But are you making the most of your outside space? Designing and installing a patio that perfectly suits the needs of your family can mean you maximise the short time that we manage to make the most of the great outdoors in the UK. consider exterior lighting for the area - it quite simply means you can stay out and enjoy warm, summer evenings for much longer. Choosing the right lighting can also add to the ambience of the space. make the space appealing - use a combination of planters and trellises to create the right feel. Planting a creeper with lovely scented flowers can be very appealing when sitting out in the area. have you thought about a living wall? It spices up with can sometimes be a visually unappealing element, especially if the outside space is smaller. promote privacy - particularly if your space is smaller, you may want to screen off it off from your neighbours. You can do that in a number of ways that mean not only is the screen serving the purpose of creating privacy but will also look attractive. Specialist fencing, shrubs, tall trees (which also supply shade) or a hedgerow could be the perfect solution. If you'd like to install a patio in your garden, the people to speak to are Bidder Landscaping. Their passion, creativity and use of quality products mean you'd be hard pushed to beat them. Call 01483 835831 for a consultation today.